The Carpathian Biosphere Reserve in Ukraine is internationally well-known of its large area of old-growth beech forest, which is part of the UNESCO World Natural Heritage register. The exceptional value of the Wilderness in the Carpathian Biosphere Reserve was just recently certified by a European Wilderness Quality Standard Audit. The Carpathian Biosphere Reserve now has a Wilderness, a WILDForest and 3 WILDRivers! According to the European Wilderness Society report, the Carpathian Biosphere Reserve includes 5 large Wilderness areas. Uholka-Shyrokyy Luh Wilderness was this summer subject of the European Wilderness Quality Standard Full-Audit, Kuziy-Trybushany Wilderness – subject of the European Wilderness Quality Standard Quick-Audit and a potential Wilderness was indentified in the following 3 areas: Svydovec Wilderness, Chornohora Wilderness and Maramorosh Wilderness. Further on, due to the large remote and undeveloped areas, the reserve is home to all native Carpathian predators, such as the wolf, lynx and brown bear. It came to our attention that recently incidents with poachers have been discovered and are now being investigated. Poaching is in some extent a kind of accompanying phenomenon of all remote and large Wilderness areas. Despite many measures taken by protected areas managers and local police, it is still happening all across Europe. Just last week a Danish hunter illegally killed a wolf in Germany, an illegally killed Lynx is being investigate in Southern Germany and in this case, a brown bear, the symbol of the Carpathian Biosphere Reserve was poached. 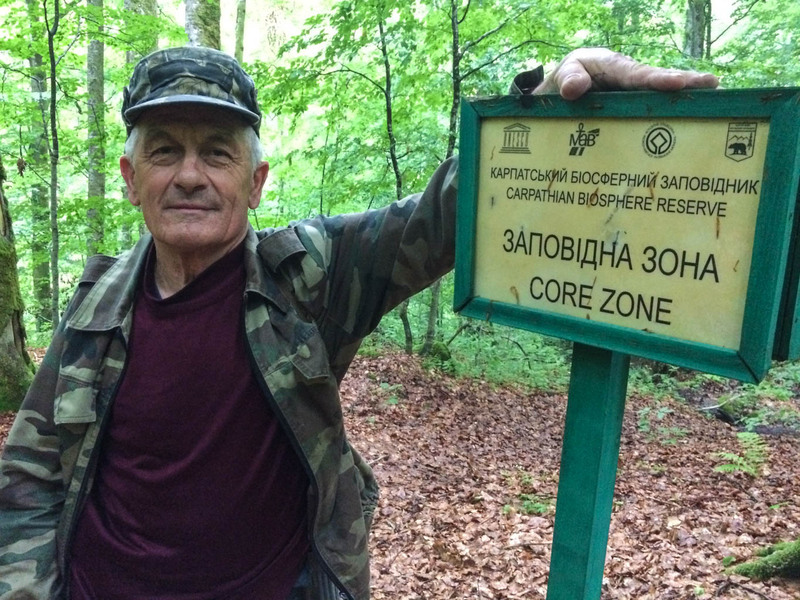 Director of the Carpathian Biosphere Reserve, Mykola Rybak, recently officially informed on Facebook, that on the 3rd of November the National Police of Ukraine together with state nature protection guard of Maramorosh division of the Carpathian Biosphere Reserve and border patrols discovered poaching on the territory of Carpathian Biosphere Reserve, particularly with remains of red deer and meat of brown bear. The Carpathian Biosphere Reserve issued the proper order “on conduction of internal investigation” and created an inspection commission, consisting of employees of the State nature protection guard of the Carpathian Biosphere Reserve and the Rakhiv police. It is an excellent example of the swift and decisive reaction of the Carpathian Biosphere Reserve management. The director addressed a poaching situation alluringly, regardless that it may even involve local employees. This swift reaction is exemplary and noteworthy and deserves international recognition. We express our support and congratulate the director for the strong effort and quick response to protect the unique flora and fauna of the Wilderness of the Carpathian Biosphere Reserve. Slow recovery of lynx in Europe!